Today Sophia woke up with a fever. We gave her Motrin and it went down quickly. She was much more cranky and clingy today than she has been all week. The medicine that we were given yesterday doesn’t seem to be working. We went through two shirts and three pants today. Thank goodness laundry is cheap here. At 5:00 we told our guide that she still wasn’t doing any better and he brought us to the doctors here at the White Swan. These doctors were great. They played with Sophia while doing the exam and definitely did a more thorough exam. She had a temp of 100.4 and has bronchitis, which we suspected from the start. We were given new medicine. This regime is getting quite complicated. Steve feels like he is a pharmacist mixing everything up. She is now taking cough medicine, a new antibiotic, a decongestant and Motrin three times a day. This is followed thirty minutes later with the medicine for her diarrhea. Let’s hope this does the trick. She is obviously not feeling well today. We have an appointment on Friday with our doctor as well. This morning we took Sophia’s picture on the red couch. While we were there a Chinese woman came up and asked me if Sophia was my daughter. When I told her she was she looked very confused. She told me she could not be because our hair was different. 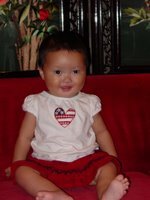 I explained that Sophia Li Hua is a Chinese baby. She promptly looked at Steve and said, “So this is not your husband?” After explaining he was and that we adopted Sophia she looked very confused. She could not wrap her mind around this. I explained that Sophia was orphaned and we asked the government if we could take her home with us to America. This is not the only time Chinese folks have been confused about Sophia. Many ask if she is a boy or girl. These questions make me think that the orphan problem is really kept out of the news. People here seem to have no idea how wide-spread a problem this is, nor how many children are adopted into forever families. It is mind-blowing. The Chinese do not question authority and this is quite evident in the dealings we have had with them thus far. I am thankful for our freedom and the liberty of not being kept in the dark. Two people, on two separate occasions, told us Sophia looked like Anne. I am not sure if it is the curly hair or the long nose!!! The gentleman today told us it was our eyes. Sophia played a bit with her friend Katlyn in the playroom today. Sophia walked using a push toy. She did not last long seeing she wasn’t feeling good. The picture above says it all. Sophia is tired of being sick and just wants to be home and feeling better. I think we are all feeling that way today. It has been a long and trying day. 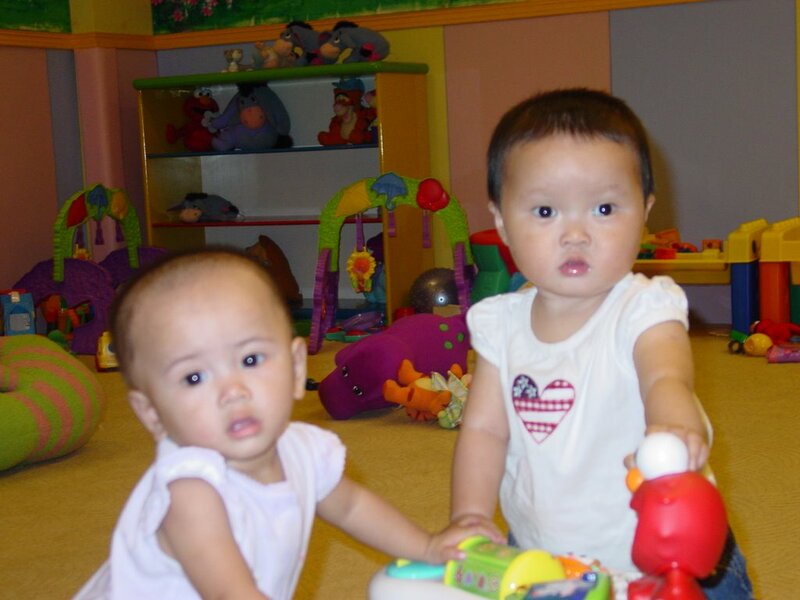 As far as I was concerned, going to China to get Sophie was one of the most important events in my life. I had hoped to be able sneak in a visit to a martial arts school or maybe take a lesson or two. Who would have thought that finding a martial arts school in China would be difficult? Not me, but it was easier to find Micky D’s than it was to find any kung-fu school. I had to settle for visiting the home and museum of Wong Feihong, the most famous martial artist in Chinese history and the shrine to my teacher’s, teacher’s, teacher, Ip Man. Katie and I took an hour long taxi ride to Foshan, a neighboring city, to find the city’s Ancestor Park and the museums. After we entered the area we saw people doing Tai Chi and young kids practicing their lion and dragon dancing routines. The kids were wonderful and later when we were wondering the grounds, a few of them were showing off for Katie and me. Next we wandered through the museum and read about Wong Feihong. Once again, Katie was accosted for a picture since her blond hair is a major attraction. The shrine to Ip Man was a pleasant surprise and I even amused other tourists when I worked out on the wooden dummy in the area. Then Katie and I tossed coins up on to a Buddha statue for good luck and performed a brief Confucian ceremony to honor our ancestors. It was a great time in the hometown of one of the arts that I teach and that will always be a special memory for me. I have and am enjoying looking over the shoulders of those more closely involved. 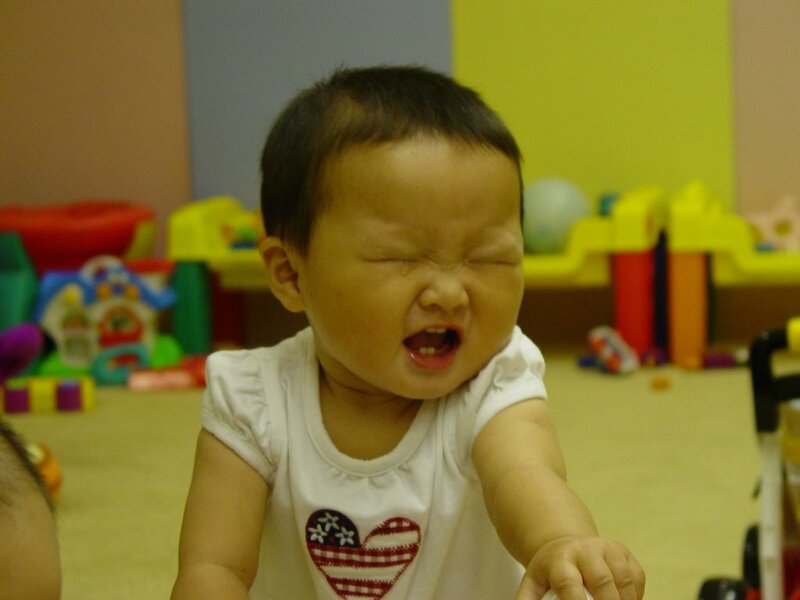 What a little gem is little Sophie Li Hua! !- How lucky she is to have Katie for her new sister. It has been an education following your wonderful blog. You must be counting hours to coming home. I know (from comments) so many are waiting to see you all back home - but I do hope you come home to some quiet time for all of you - to adjust in your very own surroundings. This has been such a transition and adventure...It will all fall into place SOON. Have a safe and easy journey - God speed. She really is BEAUTIFUL. It's funny, she and Ellie wore the same shirt today. I hope she feels better. There is nothing worse than a baby who feels bad and a mommy or daddy who can't make it all better just by looking at them. The good thing is that you have medication for her and it will help. I know it's not fun to medicate your baby, but it's better than the alternative. Thank you so much for sharing your journey with all of us - I've enjoyed the stories and the amazing pictures. Your hearts and minds must be so full of so many emotions... what an amazing experience this process and this trip have been. We hope the medications help Sophie, the travel home will be uncomplicated for all of you, and that we will find the patience to let you decompress before we get you to tell us every little detail and hug you all to pieces! We're all set to go over to your house tomorrow, exhaust Kaegogi, shop for the things on your grocery list, and be at the airport on time to meet you. Can hardly wait!!! HEY! I finally got the blog address. The link GIS sent out was broken....Diana finally gave me the right one and I read the entire blog straight through from end to beginning, backwards. smile. CONGRATS. You look great. Sophie looks great. What an adventure. Hey, you got to do more in China in one trip than I think I've done on all three of my journeys. Guess I'll have to do another one just to keep up (kidding, kidding). Can't wait to see you when you get back.